So many gorgeous fabrics have arrived! Let's start with the fun and whimsical. 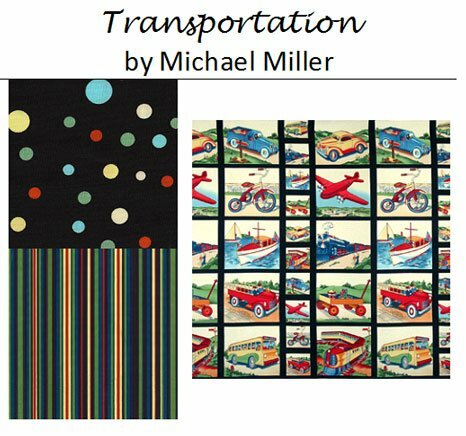 From Michael Miller, we have Lab Animals and Transportation. 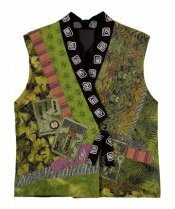 These would make wonderful quilts, pillowcases, and clothes for children. 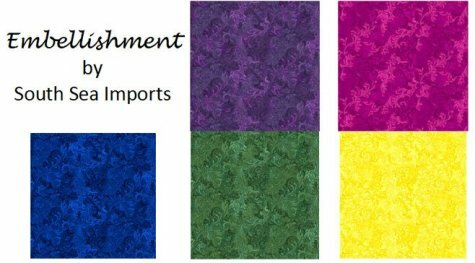 The coordinating fabrics could be used with either collection. 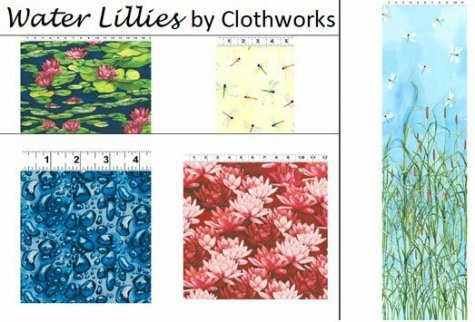 Clothworks sent us Water Lillies, a colorful collection featuring (besides water lillies, of course) cattails, dragonflies, and water droplets. 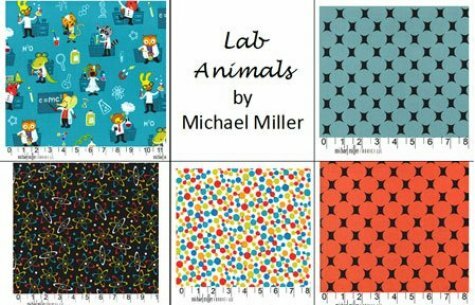 There is a free pattern for a shower curtain with this line. 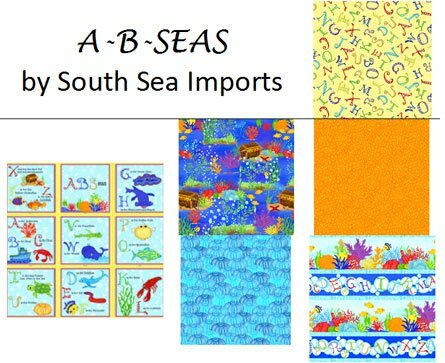 We have two new collection from South Sea Imports: A-B-Seas, a kids collection featuring cute sea creatures illustrating the alphabet, and a beautiful new blender line, Embellishment. Embellishment is very classic and rich. We have 12 colors now, and more will be arriving in the next 2 months. 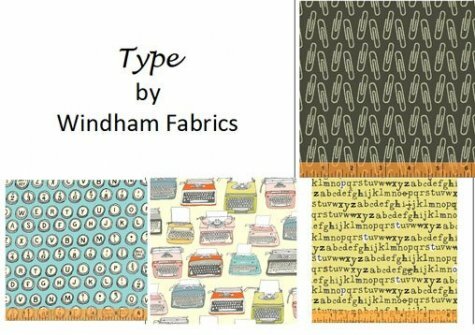 From Windham fabrics, we have Type, a retro line with typewriters as the focus--great for quilts, home dec, and fun purses, too. Also from Windham, blenders that look like silk moire! American Girl Doll Sit & Sew, Wed, Feb 27, 1:00- 4:00 p.m.
Crazy Quilt Group, Mon, Mar 4, 10:30 a.m. - 1:30 p.m.
Women of Courage BOM, Sat, Mar 9, -OR- Tue, Mar 12, 9:00 a.m. - 10:00 a.m.
Imperial Blooms BOM, Tue, Mar 12, 10:00 a.m. - 1:00 p.m.
Blankets for Preemies, Fri, Mar 15, 11:00 a.m. - 3:00 p.m.
Crazy Quilted Evening Bag, Toni Jordan, Sundays--March 17, 11:00 a.m. - 3:00 p.m.; April 7, 11:00 a.m. - 1:00 p.m.; April 28, 11:00 a.m. - 1:00 p.m.; May 5, 11:00 a.m. - 3:00 p.m., $75 for series, supply list. This evening purse is made using a simple foundation method. 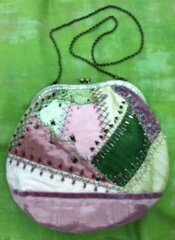 You choose your colors and types of fabrics for a one of a kind of purse. 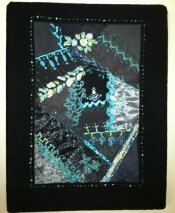 You will then embroider and embellish to your heart's content! This project is for intermediate to advanced students. 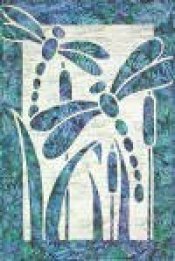 Maintain Your Bernina, Janome, or any Model!, Susan Berbec, Sun, Mar 24, 11:00 a.m. – 2:00 p.m., $20 fee, supply list. Are you intimidated by the thought of cleaning and lubricating your sewing machine? You shouldn’t be. It’s really very easy and very logical. We will get out the lint, take steps to retard lint build-up and put oil where it’s needed. Please wear your grubbies or a generous apron for this class. We don’t want to get oil, grease or great gobs of goo on your Sunday Go to Meeting clothes. Regardless of what you wear, you will go home with lint in your hair. This class is not a substitute for a full service by a qualified technician. You will learn to maintain your machine in peak condition between services.